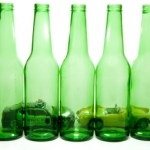 DUI Impaired to the Slightest Degree: What are the Consequences? Some people believe that a DUI charge is a unified term that applies to all types of violations under the umbrella. This isn’t 100 percent correct. Driving under the influence can lead to various charges – aggravated DUI, extreme DUI, super extreme DUI, etc. DUI Impaired to the slightest degree is the least severe charge but it can still have consequences. 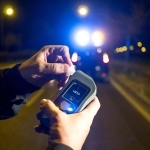 In Arizona, being impaired to the slightest degree refers to being pulled over and having a blood alcohol content (BAC) reading below the legal threshold of 0.08 percent. This means that the alcohol concentration isn’t high enough for the person to be charged with DUI but that they’re still slightly impaired. The term impaired to the slightest degree is defined in Arizona Revised Statutes 1381.A1. The statute states that it’s still a crime to operate a vehicle while impaired to the slightest degree through the consumption of alcohol, use of medications or illegal drugs. In order for such a charge to stick, a prosecutor will have to prove beyond reasonable doubt that the driver was actually impaired. This is where things can get complicated. Individuals who are charged with being impaired to the slightest degree will need an experienced legal representative that can disprove claims by the prosecution. Being impaired to the slightest degree is a less serious violation than driving under the influence. Arizona, however, is one of the states that have the most severe penalties for impaired drivers. Thus, being impaired to the slightest degree will come with certain ramifications. The maximum penalty for being impaired to the slightest degree (whenever aggravating factors are present) is 180 days in jail, the installation of an ignition interlock device for a period ranging from six to 12 months, a fine, a five-year probation, attending counseling sessions, community service and getting SR-22 insurance policies for a period of up to three years. The minimum penalty is 10 days in jail, a fine, a 90-day license suspension, the eventual installation of an ignition interlock device for a period of up to six months and counseling. This is the “grey area” when it comes to getting charged with being impaired to the slightest degree. The manner in which the impairment is determined by the police officer and proven by the prosecutor is quite important for the defense strategy. A BAC test will typically be administered to detect alcohol traces. Determining the presence of small amounts of medications and drugs, however, will be a much more difficult task. Police officers will sometimes administer field sobriety tests and assess the overall behavior of a vehicle driver to determine whether they’re impaired. Needless to say, such an approach is somewhat subjective. 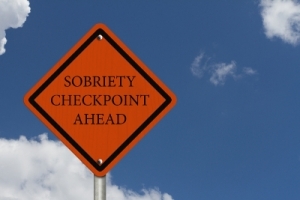 In addition, a vehicle operator in Arizona has the right to decline participating in a field sobriety test. 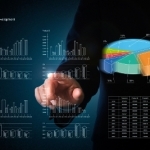 Because of these facts, proving impairment to the slightest degree can be difficult. On occasions, people who are very tired or ill could be acting like they’re impaired. A police officer can rule out that an impairment exists even in cases when this isn’t so. Fighting impairment to the slightest degree charges is all about hiring a reputable and experienced attorney. There’s no minimum alcohol level for getting charged with impairment to the slightest degree, which is why you should call your lawyer immediately to get adequate suggestions. 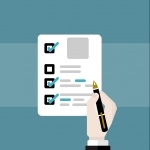 A good lawyer will look for procedural and testing errors and they’ll also put emphasis on the driver’s prior history to eventually produce a complete dismissal of the charges. 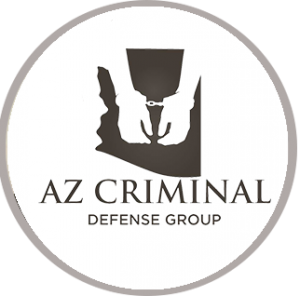 Is it Possible to Remove an Arizona DUI from Your Record? 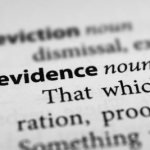 What is a Motion to Suppress Evidence in Arizona DUI Cases? Managing partner and co-founder of Ariano & Reppucci, PLLC. What Are You Facing with a DUI Accident with Injuries? Are You Required to Take a Breathalyzer Test in Arizona? How Does a DUI Affect Your Career?